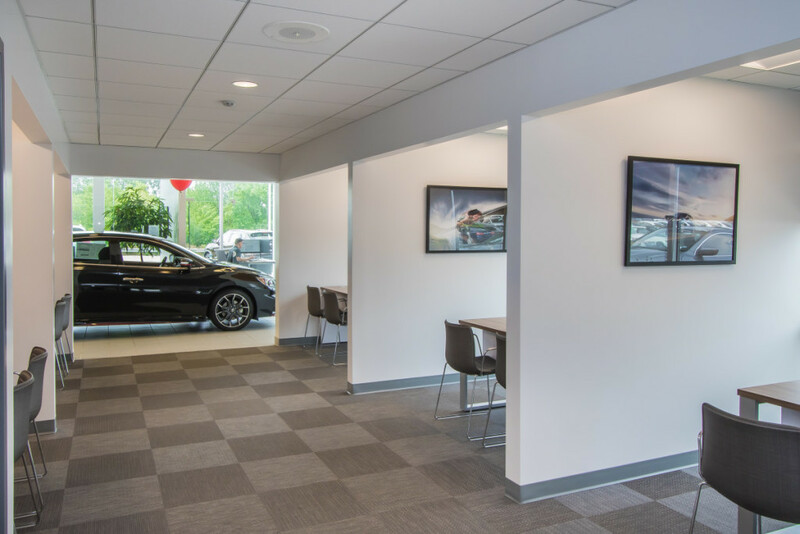 Cole Nissan Car Dealership - Byce & Associates, Inc.
Design Program: The program consisted of a renovation and expansion to the existing Cole Nissan Used Car Sales and Service building. 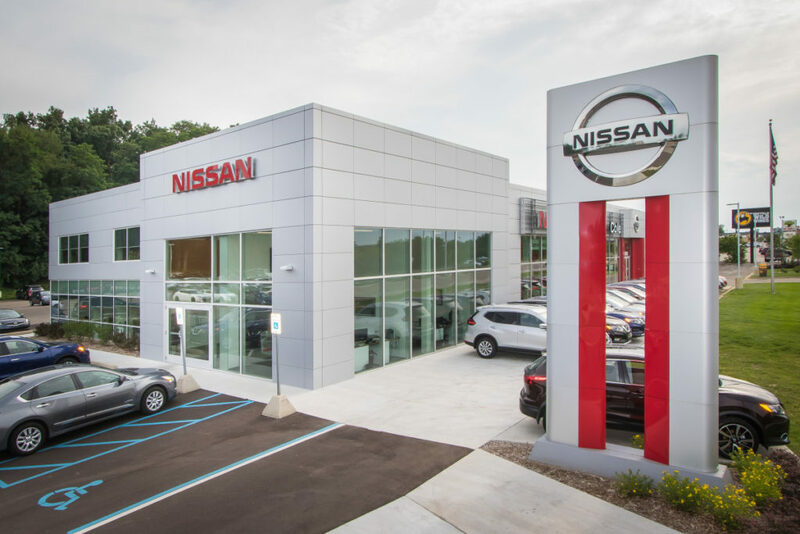 The expansion is located on the east side toward the north end of the Used Car Sales and Service building. The addition is approximately 40’ x 71’ and about 2,840 square feet. 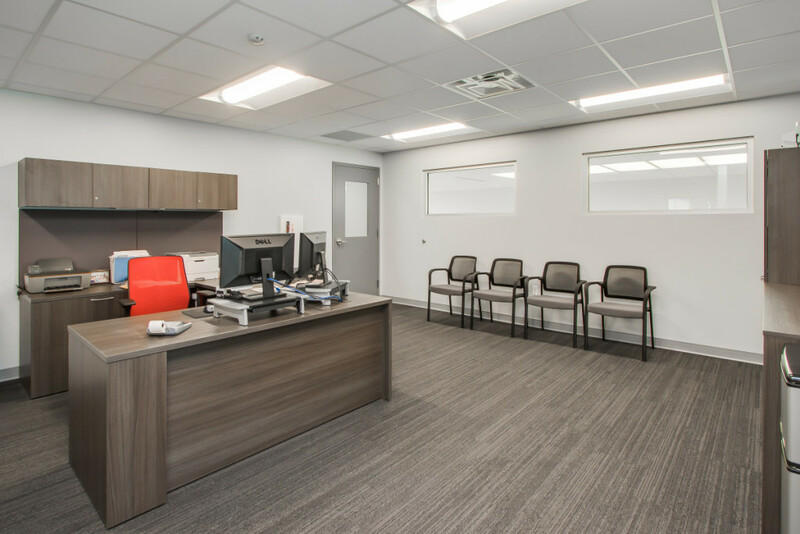 This building is constructed of infrastructures and systems that match with those of the existing facility, including the structural framing systems and exterior enclosure, fenestration and cladding systems. 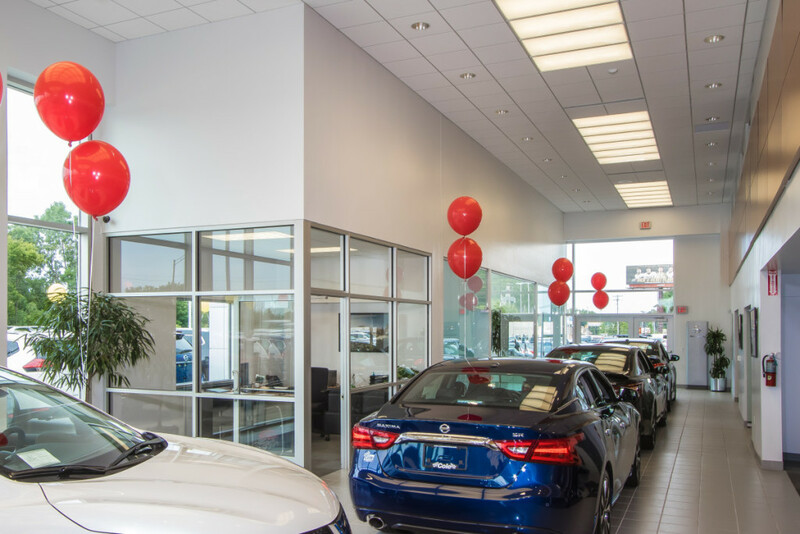 The addition was intended to provide a recognizable, consistently branded customer entry experience. The interior finishes, colors, fixtures and furniture systems match with the adjacent existing materials. The idea was to use a storefront exterior wall system to provide day lighting for the new offices, and use the spandrel panels to hide new mechanical systems that are placed above the ceiling. 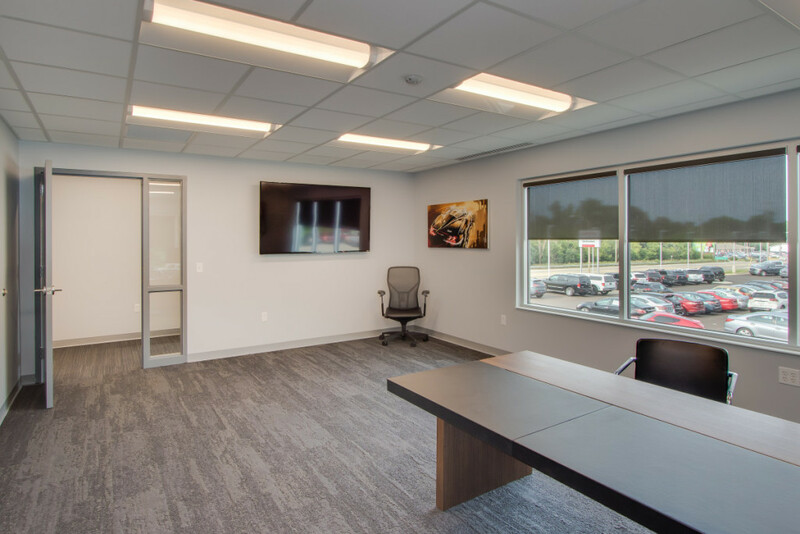 In order to meet standards, a frame-less glass wall system was used for private areas that offer a comfortable environment to facilitate the exchange of information and negotiation. 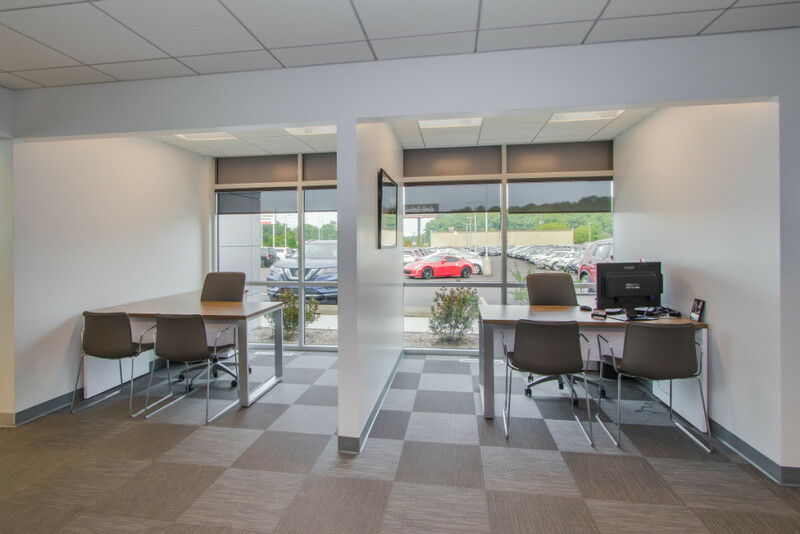 The open sales offices offer customers a choice for open, semi-private and private transactions. These areas impact a sense of customer comfort as well as a choice in degree of privacy. Design Challenges: The addition was to be designed to match the existing structure and have the building comply with NREDI 1.5 standards.